Powered by two 7,0001b thrust Honeywell F124 turbofans, the fly-by-wire M-346 advanced jet trainer was launched in January 2000 following cessation of the joint Italian/Russian Yak-130 technology development programme which ran from April 1996 to December 1999, accumulating some 300hr flying. 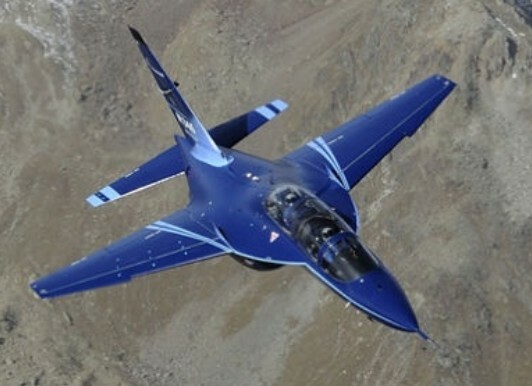 The prototype M-346 first flew in July 2004. Engine: 2 x ITEC F124-GA-200, 6250 lb.